Yes we just made up a word spa + fantastic = Spa-tastic. 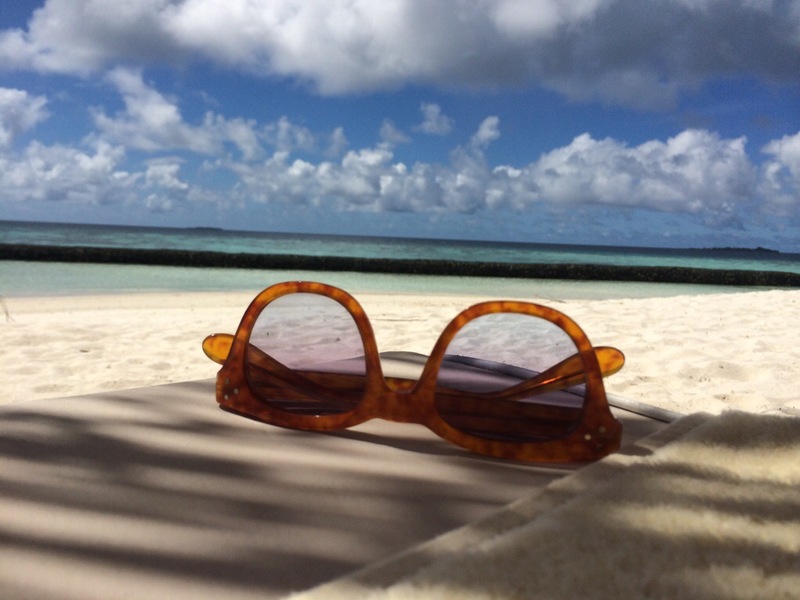 As designed, there is not much to do when you are in Maldives. Thankfully that is the case – it allows us to truly quiet our minds and bodies. 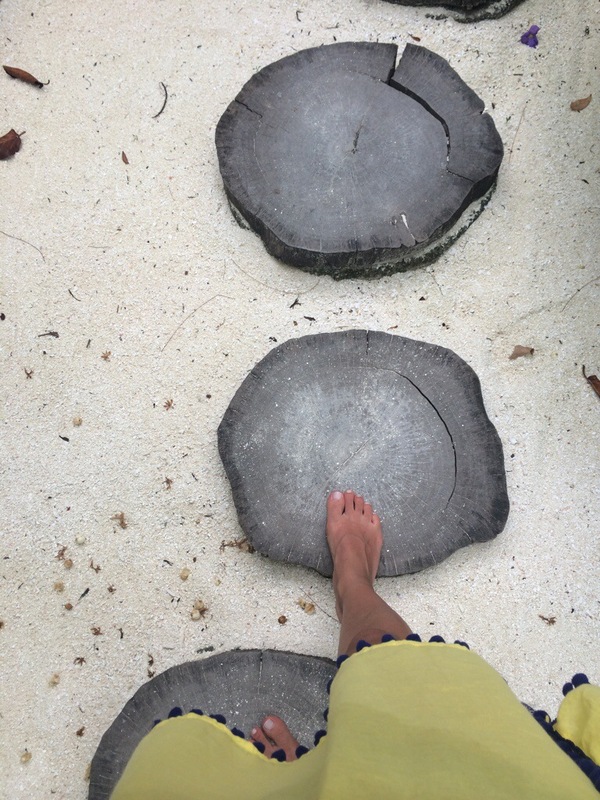 In all 3 islands we visited we went to the spa. 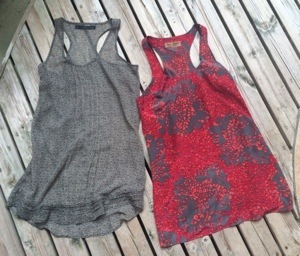 Here are our brief encounters. This is a very Indian influenced spa. 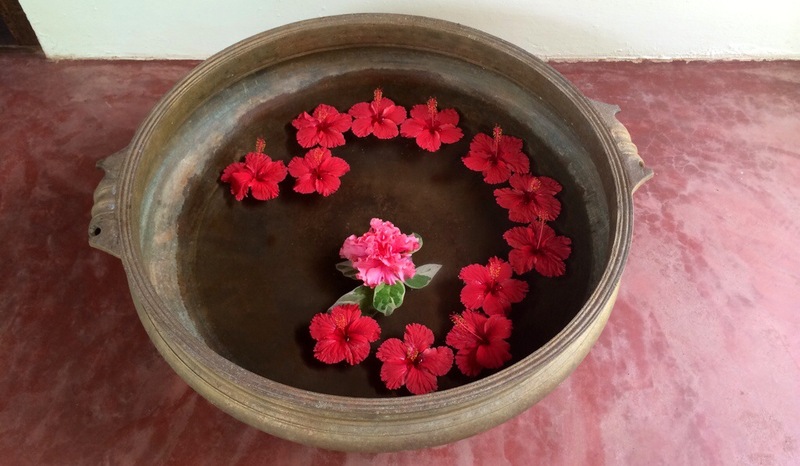 We had a great Ayurvedic body scrub followed by an outdoor shower, then finished off with a relaxing massage. Yes, we were served ginger tea as the finishing touch! Felt great and started off our vacation and tanning on the right tone. Tip: we did this first evening we arrived so our bodies had a healing overnight before hitting the beach and ocean the next day. We recommend this, it will help you get a longer lasting and more even tan. 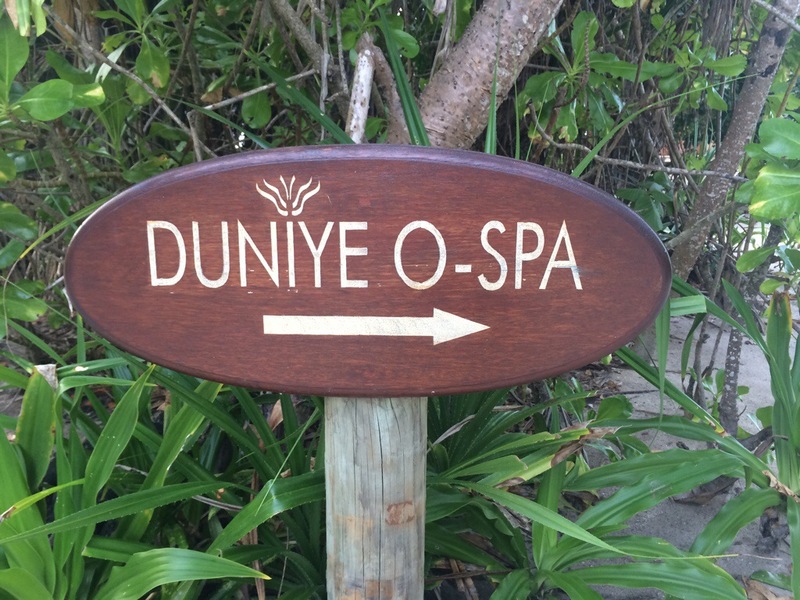 Yes, this is the same spa name as the one at Komandoo. 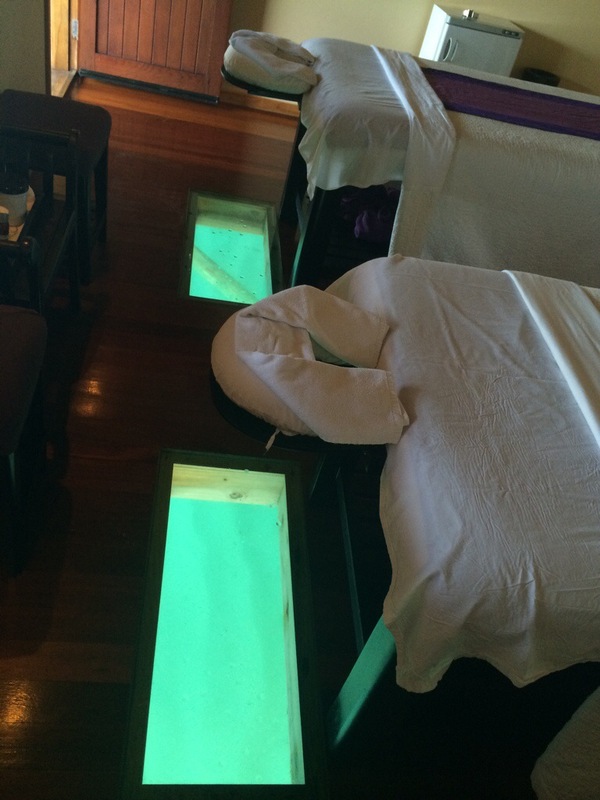 We still wanted to go both to relax and we heard the one at the O resort section had glass floor to watch fish while getting a massage. We could not pass that up! This experience costs you $10 more than the other location at the island. For us it was worth it. 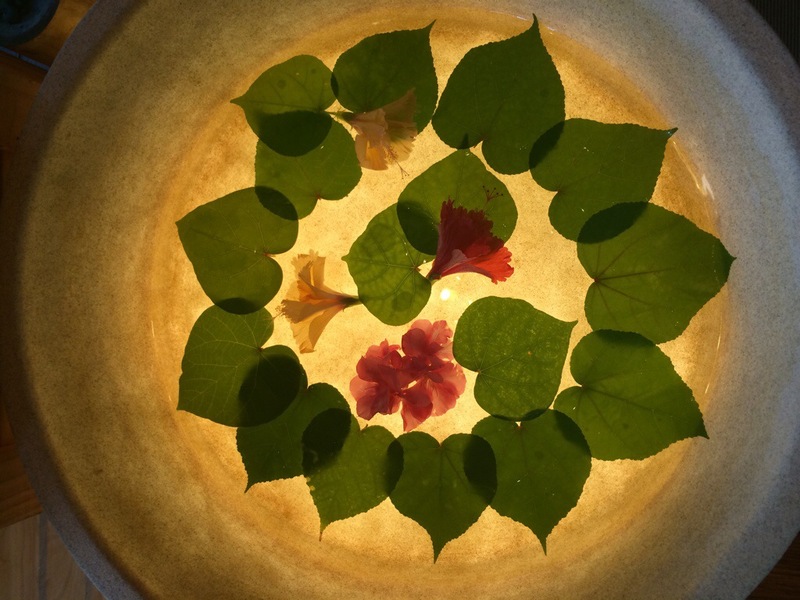 We had the pleasure of having an Oriental massage that combined various techniques like Balinese and Thai. We also had a facial done; we gave it two thumbs up. 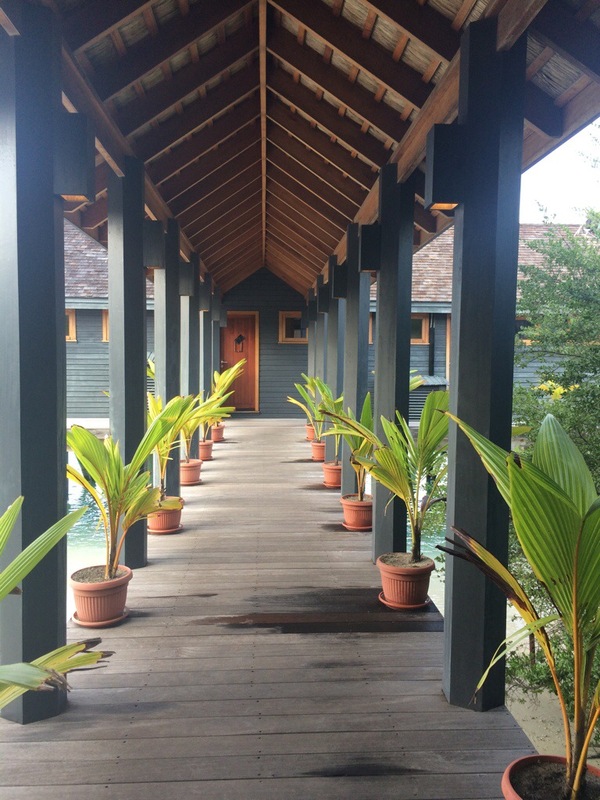 You may not be at Maldives, but you should treat yourself to a Spa day or just a 60 min massage. Be good to your body and it will be good to you! 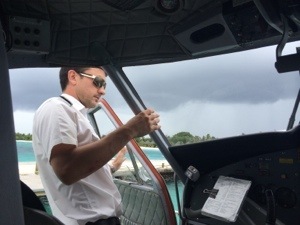 We are not ready to say goodbye to Maldives… but we said ‘until next time’ and hopped on the seaplane. Captain happened to be from Canada, fun chap! Hard not to enjoy our drinks looking out on this beautiful sight. 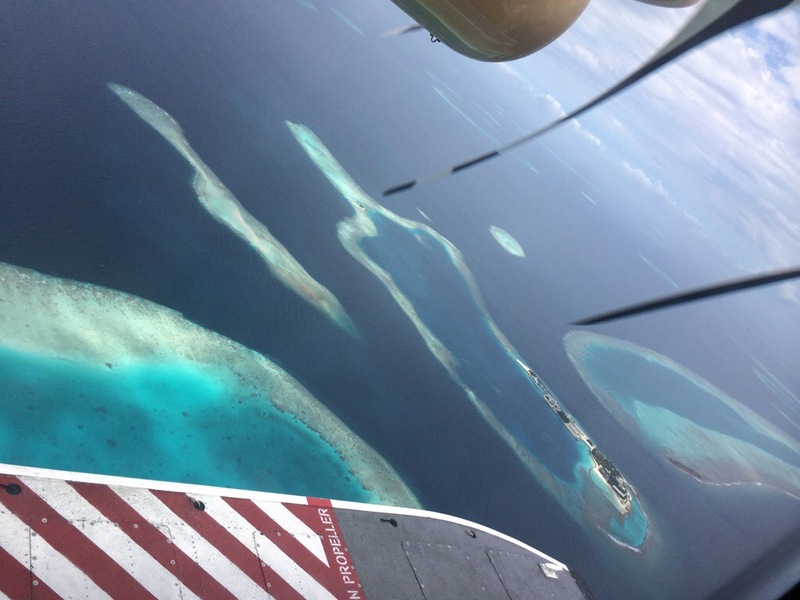 So happy we got to see these beautiful islands; Male, Gangehi, Kuredu, and Komandoo – before they disappear underwater. All photos on our blog are taken by us –using simple iPhone and iPad actually. Here are some scenes we captured, enjoy. A friend we made there said people usually return within 6 mo or a year. 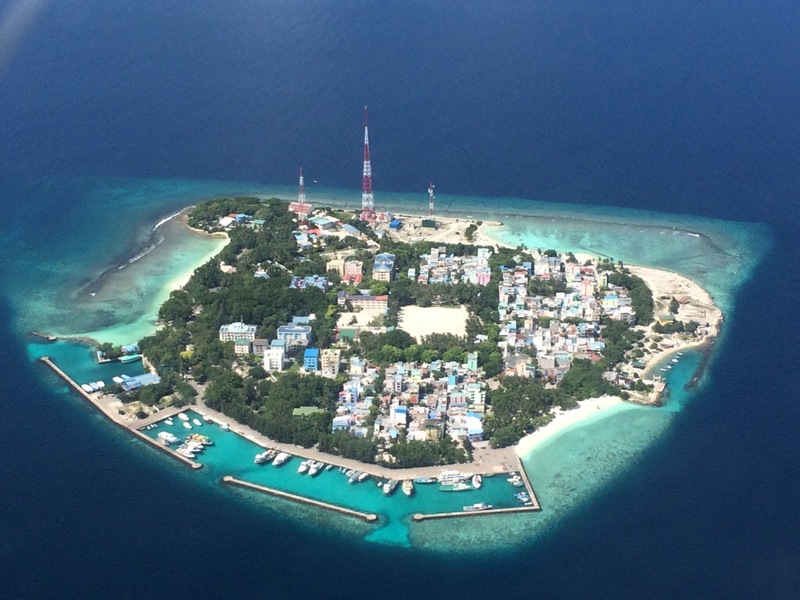 Having been there we understand why and hope we can also return in the next 2yrs to visit other islands. How can we resist a paradise like this! 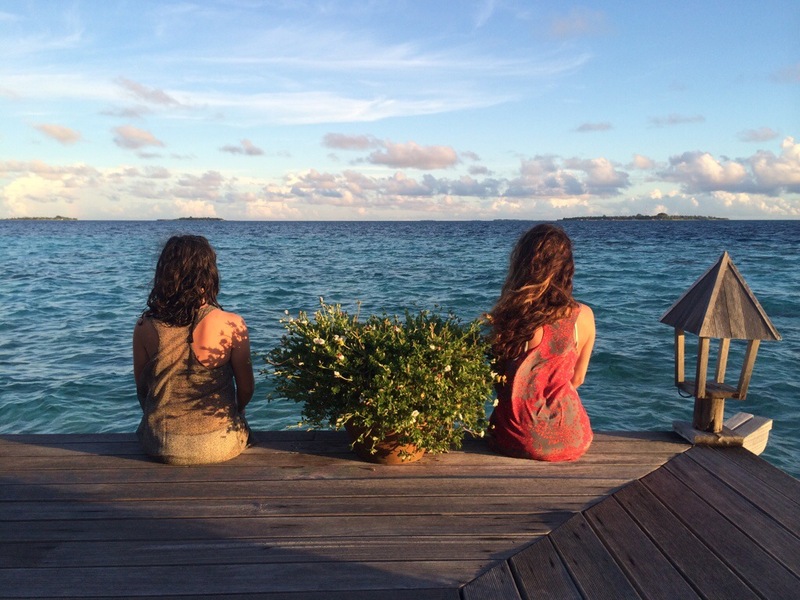 So… when are you going to Maldives? How amazing is mother nature! We sat at our covered deck, sipped hot coffee and watched the rainstorm pass over us pouring blessings and happiness. During all this, it was not cold, so we just sat in our bikinis and watched everything unfold – wind blowing the water and trees around. 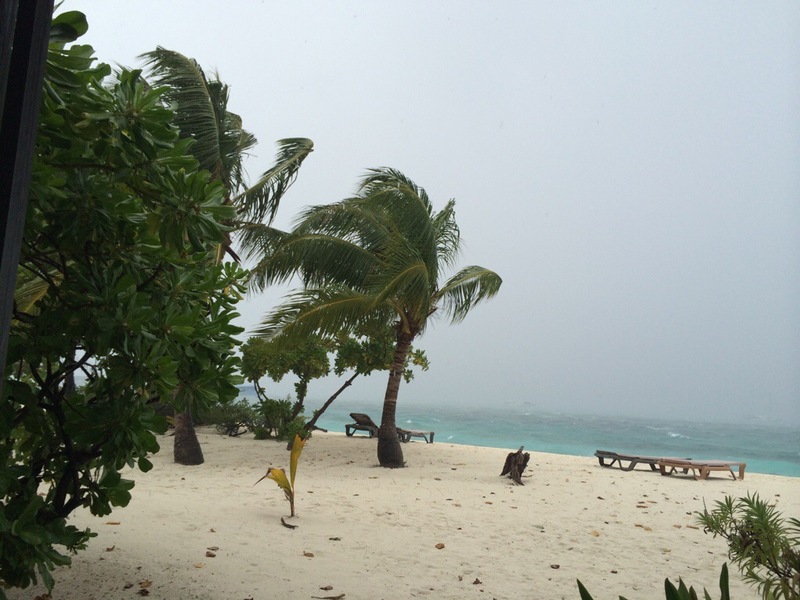 Everyone was tucked into their villas – but we feel lucky to experience this weather variety. We are so glad we packed light but smart. 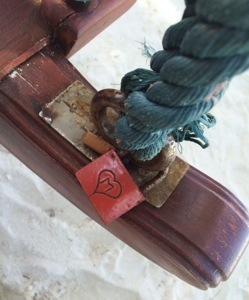 This way we can let go when we want and we can kick into fashion gear when we like. For us having what we need handy is relaxing, that way we are not thinking about WHAT we should wear or what we don’t have , but rather we think about WHAT we will do today. 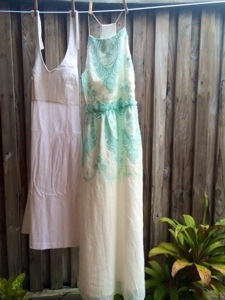 The other day we wore these dresses to the White Party. Well, I got hassled by Peter (our Brit friend) that my dress was not white enough lolll He said this as he sat there in his blue and white striped shirt – thanks Peter! Wherever you are, whatever you are doing we wish you a surprising and exciting day! When you swim and a fleet of fish swim behind you and when you stand they circle around you and play — you can’t help but feel happy and so enchanted by the Maldivian ocean. Truly our one big regret is not having underwater camera to capture and show you all these amazing fish. IF you ever decide to visit Maldives you MUST buy an underwater camera or some kind of gear so you can take pictures. The food debacle continues… today we spent 30 min until staff finally directed us from one closed restaurant to another for a simple lunch. We ended up eating at the O Restaurant, which suppose to be the upscale one. Setting was pretty over the water and with breeze coming through windows. Food was OK and was served buffet style – we expected menu and service since it is advertised as a la carte. Well, we embraced the unexpected and ate up!! A long walk on the beach took us to the island’s sandbar. So far on each of the islands we had the joy of exploring a sandbar. 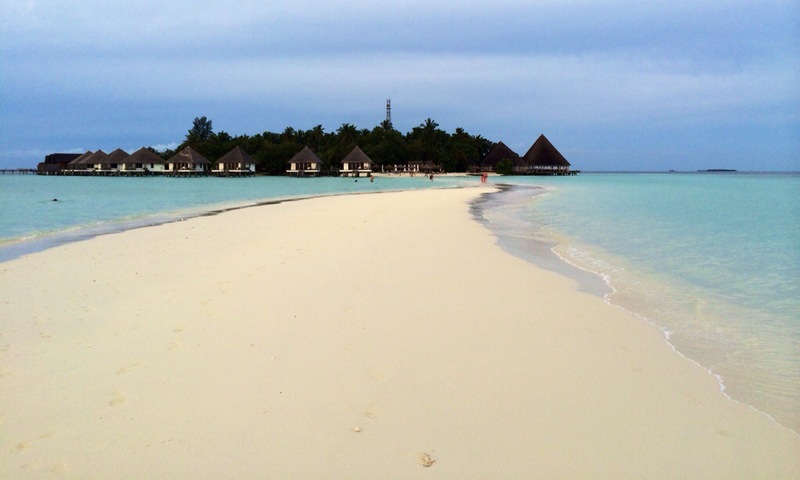 We can confidently say the Kuredu sandbar is the best and biggest. Saw 3 types of fish and a small shark. On our way back from the sandbar we decided to walk through the center of the island, where there is a sandy road and bit of jungle. This is also the main road where they drive golf carts (taxi) to shuttle people from point to point. We heard this funny squealing and decided to see what it was. 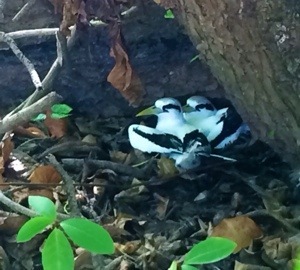 See for yourself — they were two baby birds. We don’t know what kind they are but they sure are cute birds. So the full day of sailing we were looking forward to… it was cancelled this morning via a letter at out door. Reason was there was not enough people signed up to do it. Frankly this gave us the opportunity to schedule excursions and reef snorkeling with the diveshop instead of the hotel. Diveshop staff has been very helpful and providing clear information. Tonight the food theme is Arabian and we were told there will be a White Party at the bar — we have our white dresses ready! We were very surprised and disappointed when we got to the restaurant we selected for the night. We had booked half board and this was a designated restaurant. They basically turned us away saying we should have made reservations. We thought they were joking but no they were not. So they told us all the designated restaurants are booked and we should try eating at one of the a la cart restaurants. What a scam — why would anyone pay half board if they can’t get a seat at dinner. Would you?? As we tried investigating, we learned that one has to reserve a restaurant everyday at 9 am or take a chance before 6 pm (they don’t make reservations after this point). This is simply ridiculous! Defeating the whole purpose of a relaxed carefree vacation. 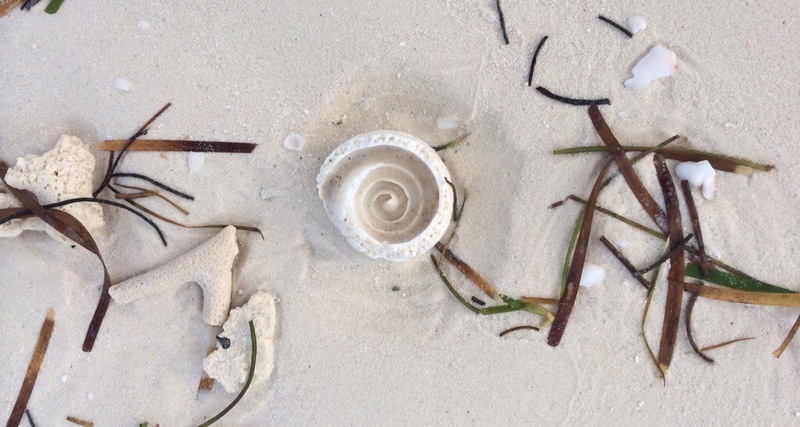 They basically told us we need to be on a schedule – wish we knew this was going to be a regimented camp instead of a relaxation island, we would have gone to a different island. Things got worse… since we are leaving at 8:45am for a full day of sailing, we thought we would ask the front desk to make tomorrow’s dinner reservation. This way we could eat when we return from the sail trip. Well, that would have been too logical. We asked and the answer was ‘we will give it a try but we can’t guarantee a reservation’ !!! WTF is the most appropriate reaction since this is an island you can practically walk around in about an hour and resorts owns the restaurants. We are not requesting dinner reservation at another island or country! Sooo needless to say Kuredu is yet to impress us. Service is not cutting it. Maybe we got too used to excellent treatment at Komandoo, they did set a higher bar for sure. To Kuredu, we will see if we can give Ken Flockhart, the GM of the island, some feedback about this unpleasant experience. To you, dear readers and fellow travelers… unless you would like to be on a regimented camp and keep hours to make daily dinner reservations, mind you even having to get a ticket for the reservation before showing up to your dinner, we would recommend considering other islands. 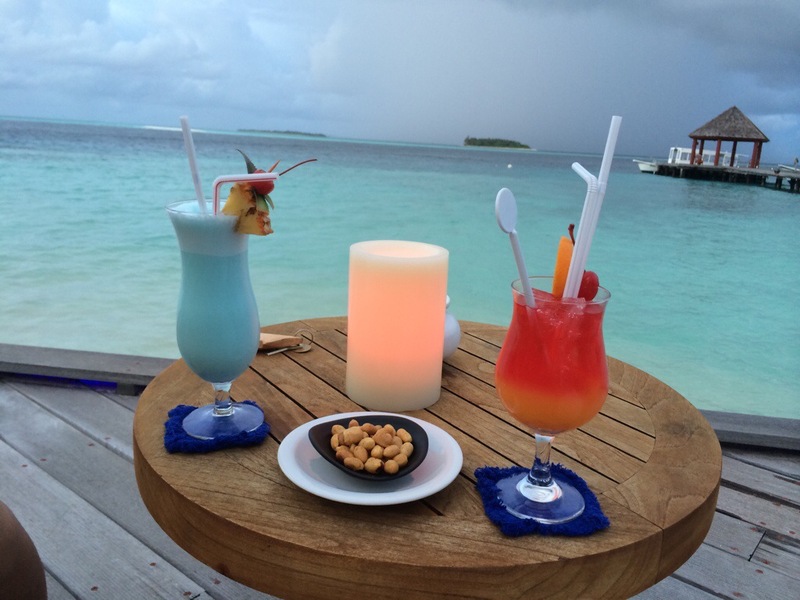 Afterall… there are over 135 resort islands, plenty to choose from. Please share this posting with others so they may be saved from the unpleasant experiences. 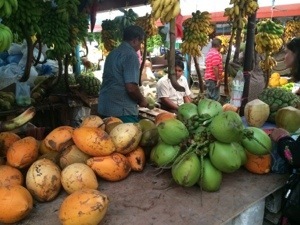 Maldives: Kuredu .. partial report! 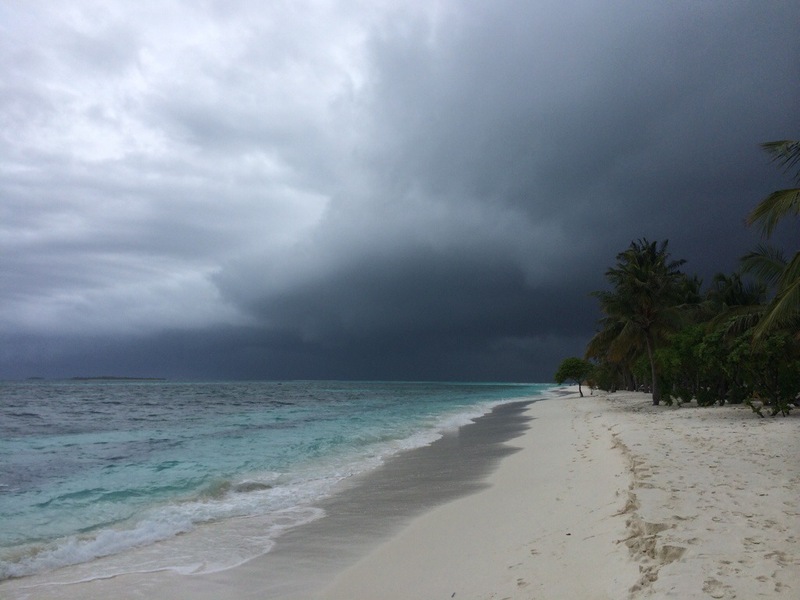 We arrived at Kuredu island today and been exploring it all day. Why ‘partial report’ you might ask — well, it is a big island so it will take a bit before we can give you the ‘full report’. 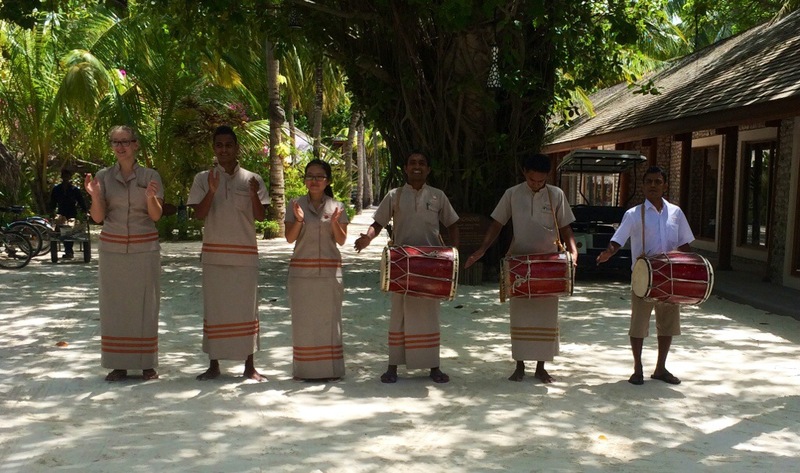 We were greeted by the staff singing and drumming. We were assigned a host ‘Melanie’ – who will be our go to person whenever we have a question or need something. This was different than the other two islands, maybe because this one is so big and so many people. It is the biggest island we visited here so far and our last island. 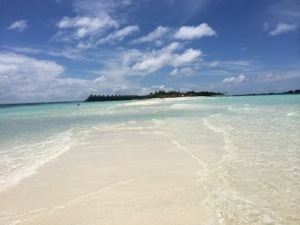 Sad to think this is our last destination, until we return to Maldives again. 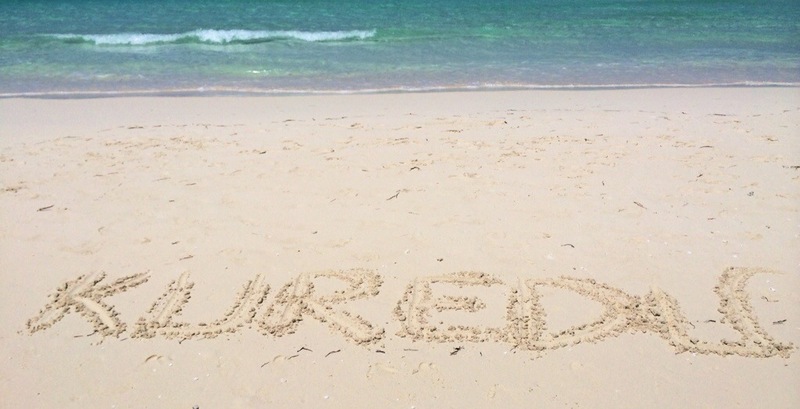 Kuredu has a different feel, more crowded and has more activities — so you don’t get the remote feeling from it. We like variety so this will be interesting after the quiet paradise islands we have been enjoying. 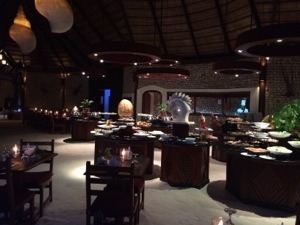 Kuredu has 7 restaurants / bars – as we sample each we will let you know what’s good what’s not. 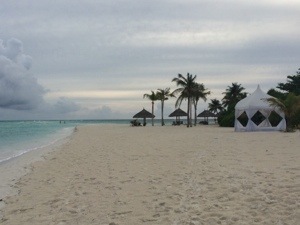 We are at a beach villa here – it is very similar to Komandoo. 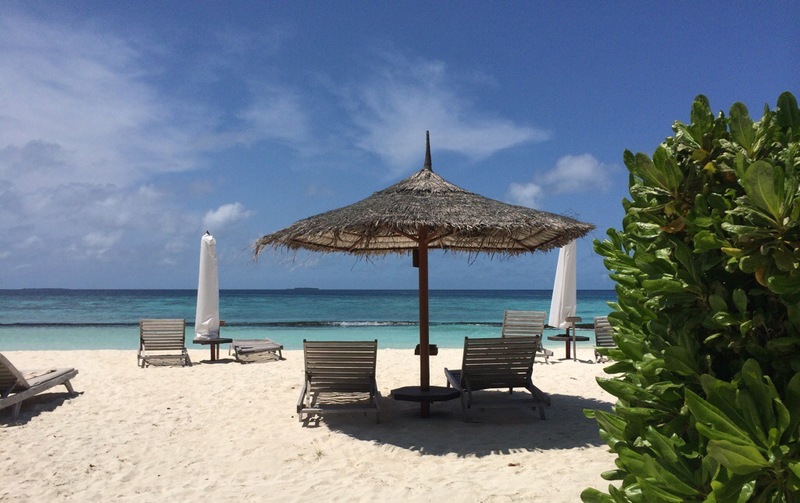 Without hesitation we can say the beach and water is better at Komandoo. We miss our private sharks 😦 circling in front of our doorstep. 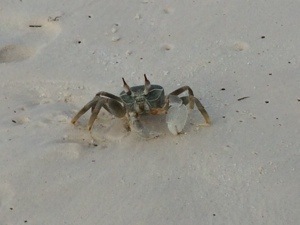 Yes we already made a friend at Kuredu – meet Freddy the crab!